For the first time in what feels like a long time I can say that I have actually felt really motivated this month. Im not sure if it is the sunshine, the slightly longer days or just a change in my mind set but in certain parts of my life I am raring to go! We've also upped our workout routines which I think has helped with boosting my energy levels. Things are also starting to move forward with selling our house and there's definitely some excitement in the air about a much needed change and relocation. With the arrival of Spring and much nicer weather I have taken the opportunity to get outside more this month. My friend and I picked the most perfect day to take her daughter to the Gruffalo Trail at Thorndon Country Park in Brentwood. It was a beautiful day walking around the woods and making a little pit stop for tea at the cafe there. And we found the Gruffalo! Another memorable day out this month was to Frinton on Sea in Essex which is one of our favourite places to go for a really long walk. The dogs absolutely love it there too, especially all the sand! It's also the perfect place to visit for anyone like me who loves looking at colourful beach huts. One of the most life changing things in a long time happened this month - we watched the Minimalism documentary on Netflix! When we sat down to watch this film I wasn't really expecting to take a huge amount from it but I couldn't have been more wrong and I don't feel like I am being dramatic when I say that it was life changing for me. We had a huge clear out. And I mean HUGE! 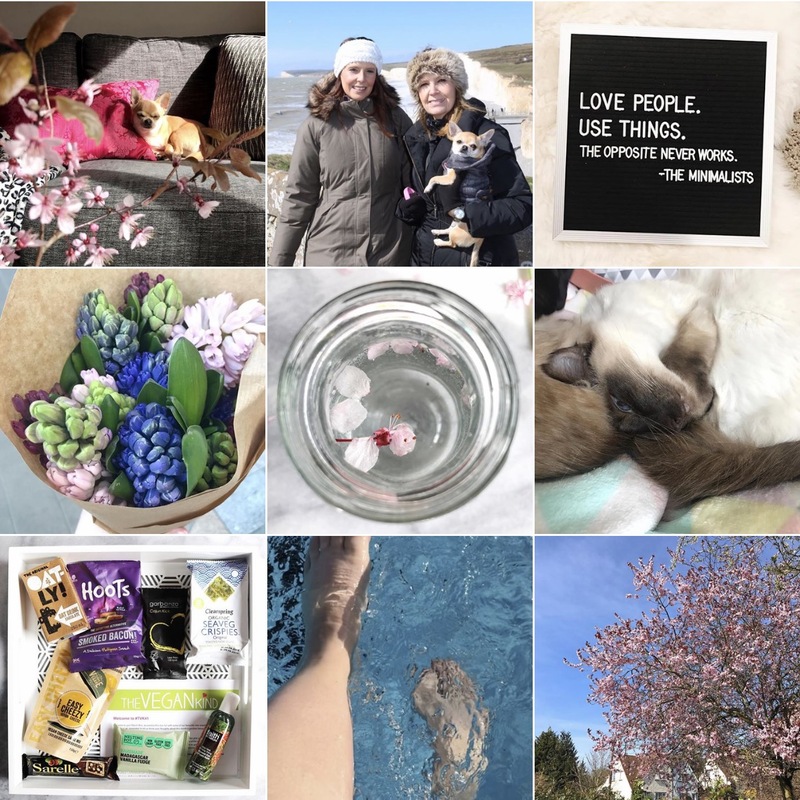 It's taken up so much time and energy this month that I do feel as though it has almost taken over and when I am thinking about what I have been up to over the past few weeks this has pretty much dominated my life. But in a good way! I've sold things, donated stuff to charity, put things out on my driveway labelled 'free to a good home' and slowly but surely my house is feeling clear of clutter and things that I don't need or want anymore. I can't even begin to explain how liberating this has felt and how much better I feel in myself for it. I even feel as though I am sleeping better and in a much more positive routine since making these changes. Coincidence? I'm not so sure! And yes I even went and bought myself a label maker so that I could really take organising my stuff to the next level! To be honest I feel that this whole topic of minimalism is either blog post or video worthy so hold tight, there may be more to come on this. But for now all I can do is urge you to watch this film too. 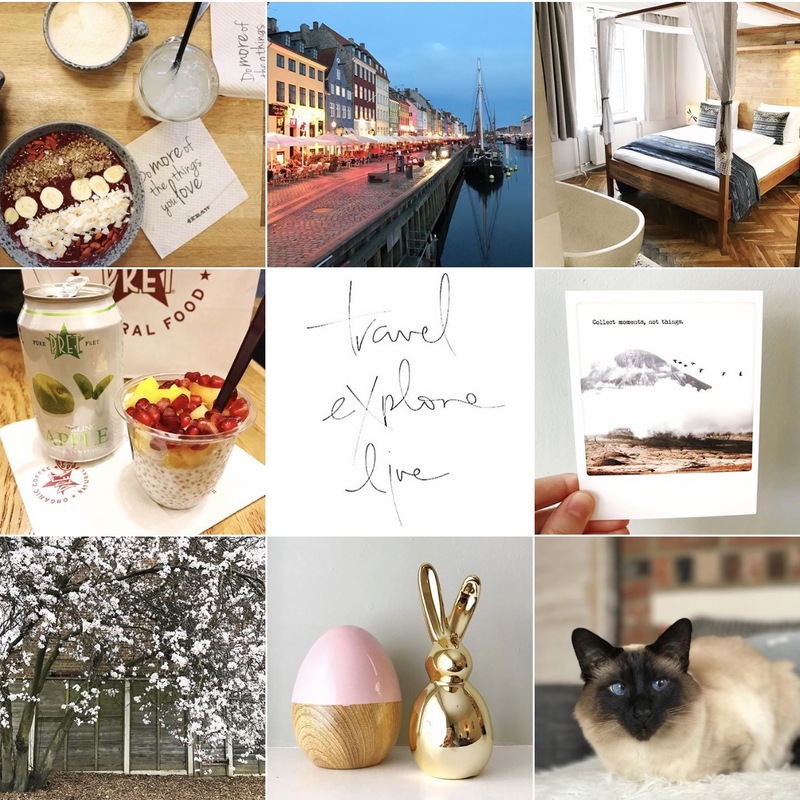 Aside from all the decluttering and organising we did find the time to nip over to Copenhagen for a few days and it was a trip I had been so excited for for such a long time. This city did not disappoint and we had such a fun time exploring all there was to offer on foot, bicycles and even an E-car! I mentioned it already briefly above but I have really upped my workout game this month too and i'm already feeling the benefits. After having a personal review with one of the trainers and completely changing my routine I found myself feeling much more motivated about going again. I also decided to start going more times in a week and making it more of a priority. I'm feeling good for it and much fitter than I was before. I'm also feeling quite proud of myself for still continuing with it for 5 months now despite some hurdles and breaks in between. I was really pleased to see that my gym, David Lloyd, change their menu for Spring and on it was not one, not two, not even three but four vegan options!! I had put in a customer feedback form saying that it would be nice to see more choice for vegans but I really wasn't expecting them to take any notice, which also leads me to believe that I can't have been the only one to comment. Anyway, we don't eat there all the time but sometimes after a workout when it's later in the day it's nice to know the option is there when you don't fancy cooking. I especially loved this giant couscous salad with balsamic drizzle which i've had a couple of times this month already. I've been trying to balance out my meals and snacks a bit more and pay more attention to how much protein i'm including in my diet. A favourite snack of mine at the moment is banana with some Whole Earth peanut butter on top - delicious! A good thing about going to the gym more often is that I tend to eat more healthily at home and so we have been quite good lately with ensuring we're cooking up some tasty whole food based dishes which incorporate a good mix of carbs, fat and protein. I wrote about my experience at Cradle in Sudbury Suffolk a little while back but this cafe has seriously made it onto my all time favourites list and we have been back there three times since! I just can't get enough of it! The food is incredible. It's nice and local for us. And it works as a good healthy option if we fancy a meal out. Of course we ate out loads in Copenhagen and I was pretty blown away by what a vegan friendly city it is and it's also one that I feel is really underrated for vegan travellers. This nice cream bowl was a real highlight but you can get a taste for everything we ate over on my blog post! When i've been rushing around and on the go it's been nice to be able to pick up a good healthy lunch from M&S. I don't do it very often but it's definitely a great choice lately for a convenience option. I'm so happy that they introduced so many amazing vegan options this year! As a treat lunch out this month we found ourselves back at The Den in Colchester for one of their almighty vegan stack burgers. This burger is everything! Words can't really do it justice so you'll just have to try it for yourself and thank me later. I've been super organised this month too in getting ready for Easter and one day I found myself questioning why my favourite vegan chocolate Vego don't make Easter eggs. The next thing I knew I was online ordering myself a few bars and some Easter egg moulds. I was quite amazed by how well they turned out! You can watch me making these here. Funny story - when I looked back over what I had bought this month there wasn't really anything ... I know ... I feel like I don't even know myself right now! But the fact of the matter is that by watching the Miniamlism film, and listening to The Minimalists podcast, I have been much more mindful about what I am spending my money on. Clearing out loads of junk from my house has made me think much more carefully about what I actually need. I've felt way less inclined to just buy stuff for the sake of it or for the momentary thrill of having something new. I have however spent some money on things like food, toiletries, flowers and other general consumables. Flowers aren't a necessity but they certainly bring me and my home some joy! Plans wise April is looking pretty quiet. We're staying on UK soil and have a good 5 weeks at home before our next trip to Brighton to celebrate our wedding anniversary in May. The next few weeks is really going to be dedicated to maintaining a healthy lifestyle, keeping up the exercise routine, hopefully getting and feeling more in shape for the Summer months, and I would like to continue to minimise down our home more. We're also going to have to spend some time looking for our next home and making plans for moving - exciting times! And i'd like to feel more on top of things blog and YouTube wise. We have tickets to see Russell Brands new stand up show in April which I am so excited for and I am sure that will be a real highlight of next month for us. Oh and it will be Easter soon so i'll be trying my best to avoid eating all of the chocolate! 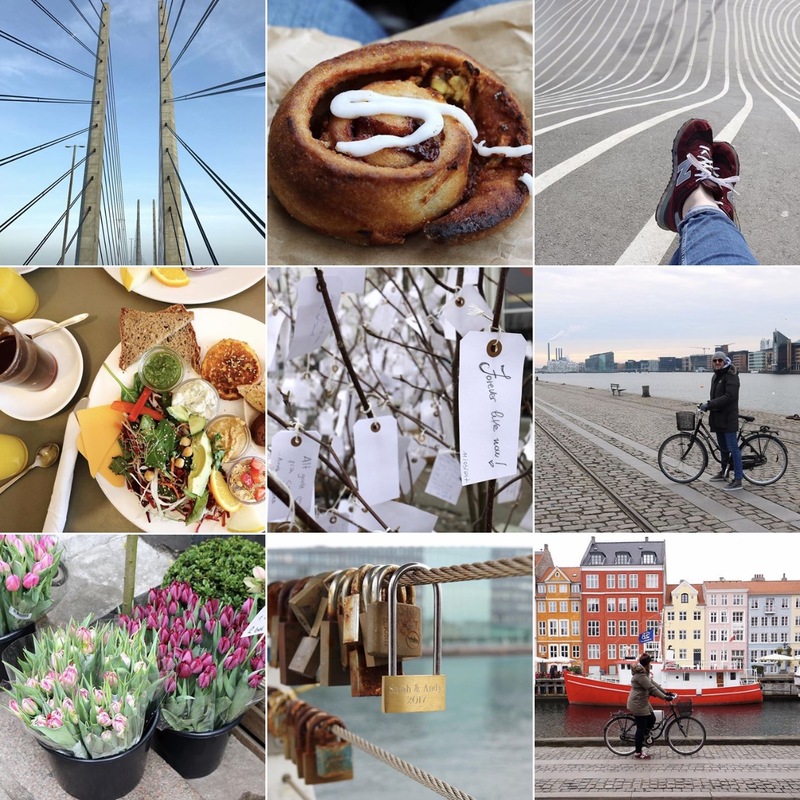 Copenhagen looks fab - def on my hit list. We've also been having a huge clear out - haven't seen the film but I'll take a look. I'm certain that as you get older you just don't need or want as much 'stuff' around you.